As remote well monitoring gains traction across the oil patch producers will be happy because they stand to save substantially on production costs. Area insects may also benefit, as there will be fewer windshields on the road for them to hit. Everyone knows the ancient method of well management—spending hours driving from well to well every day checking for problems and, in most cases, finding none. Or the other option, which is finding one that’s been going on for who knows how long. 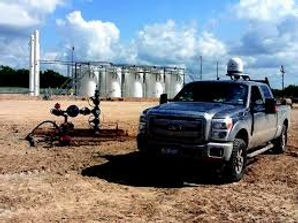 This is what WellAware’s Dave Milam calls “management by driving around.” Milam, the company’s executive VP of management and marketing, says his company’s goal is to use remote monitoring systems to allow clients to manage by exception instead, sending personnel only to wells they know or suspect to have a problem. Management by exception offers a long list of benefits starting with reduction of labor costs. “We’ve seen operators double to triple the number of wells that a pumper or gauger can service by going to the management by exception approach,” he said. Rather than using these efficiencies to lay people off, Milam said companies then use those personnel as troubleshooters instead of data collectors. This has the effect of keeping wells online more consistently, boosting production. Early well monitoring systems were expensive and user-intensive to set up. The producer often had to buy the monitoring equipment and software separately then hope they could set up a way to communicate with that equipment through spotty cell phone service, expensive satellite signals or otherwise. So they limited the use of these systems to two categories: wells that were particularly large or wells that were extremely remote (or both). Categorizing WellAware as a data management company, Milam says they have combined all those components into one package, making it practical for producers to remotely monitor a larger percentage of their wells. Building a widespread communication network, an “Internet of things,” which is included in the company’s basic monthly fee, was a key part of that. Their monthly fee package also includes hardware (such as radios) and software, relieving producers of the need for large upfront capital outlays during difficult times. “The operators really feel like they’re in a catch-22. They’re like, ‘I can’t spend money right now to save money,’” Milam related. WellAware charges on a per-well basis. By providing a native software app for smartphones the system starts saving producers money at the beginning of the workday. Before leaving home field personnel can check their smartphones for exceptions—meaning problems—allowing them to go straight to the field instead of detouring to the office first, if there is indeed an alarm. The app also pinpoints the problem as electrical, communications or something else so that the field tech can ask appropriate specialists to meet at the wellsite. By minimizing response time and mobilizing appropriate resources the monitoring package allows producers to greatly reduce downtime as compared with management by windshield time. When Wellaware opened its doors two-and-a-half years ago they expected to serve mostly small to medium companies, thinking the majors had the capital budgets to provide their own monitoring. “Then we found out that, actually, even the biggest operators have this problem (of) stranded assets. They have fields where they couldn’t figure out the economics” of monitoring those assets. There is a flip side to this as well. If production has fallen off since the last time the chemical rep calculated the injection rates, they could be wasting significant dollars on pumping what is now more chemicals than they need. “We’ve been able to see operators reduce their chemical usage and chemical bills by 20-30 percent by preventing that over-injection,” said Milam. Is there more that could be done in the future by sorting and analyzing historical data well-by-well or field-by-field? Milam says yes, although, to avoid data overload that information must be provided in a dashboard format. By showing conclusions and actionable data instead of page after page of numbers, data systems can help companies evaluate wells and fields on multiple levels. M&A decisions, best practices in production and even exploration, all these could be informed by data that properly collected, analyzed and presented. Every time dashboard time replaces windshield time, production costs go down. That makes everyone happy, including the bugs.